I’m quite upset by this news. As a teenager, I grew up with – and adored – the shows he was in… The Young Ones of course, but I went hunting for those that people may have since forgotten (or never seen, because they didn’t make it to air here, or were on at obscure times)… Filthy Rich And Catflap, The Comic Strip Presents (including the Famous Five spoof Five Go Mad In Dorset, and Bad News, the heavy metal spoof which pre-dated Spinal Tap), The Dangerous Brothers, and later The New Statesman (once the subject of an angry letter to the Green Guide from me about Channel 7’s scheduling of it) and Bottom. A little anecdote here. In the dim, distant past I found myself in a bar at the Edinburgh Festival with Rik Mayall and Nigel Planer and we struck up a conversation. I was in awe of the both of them, obviously, and was looking for a discreet way to say to my idols, “I’m a comedian too”. Rik and Nigel both knew of The Big Gig and said they loved it. For one moment there I was in the tent of comedy greatness and I thought I would die happy. I can picture that moment, exactly. Recall my utter fandom and how pleased I was to think of myself as one of the “New Wave” comedy alumni. They were the best, most thrilling times of my life. Inspired by all the genius performers in “The Comic Strip”. All of you changed my life. Wouldn’t have run away and joined the circus without you! And Rik – you were the daring young man on the flying trapeze. The one we gasped to see. And,whoever that pissed Aussie was… thank you. Next → Next post: Bike lanes that don’t disappear 50m before an intersection? Yes, it is possible. Yes, very sad. 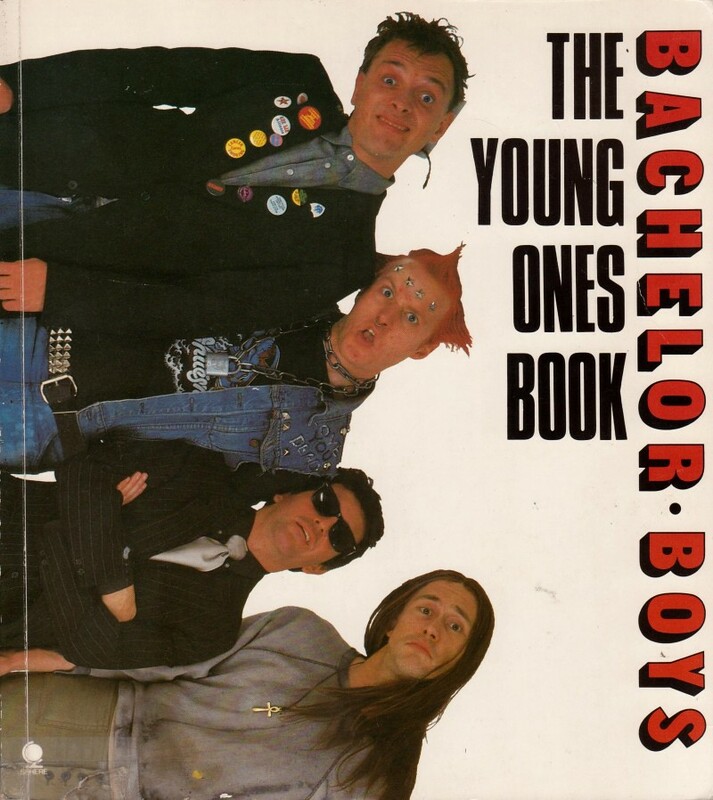 Rik Mayall was around my age so he was far too young to die. I loved the TV series (didn’t like Alexei Sayle however) – it was pretty outrageous for its time (like Monty Python a decade earlier and Ad Fab a decade later). Did “Bad News” really pre-date Spinal Tap ? I am surprised that not one of the stories about Rik Mayall today mentioned his forgettable performance in “Drop Dead Fred”. The first Bad News TV special aired in January 1983. The movie This Is Spinal Tap wasn’t released until March 1984, though according to Wikipedia there was an earlier 1979 appearance in a “failed TV pilot” – but it doesn’t make it clear if that was actually broadcast. I actually *like* “Drop Dead Fred” – though I can’t see the point of remaking it. I only know him from the Five Go Mad In Dorset, and the delightful 10 or so minutes of Lord Flashheart in Blackadder S2 & 4 where he stole every scene. Hilarious stuff indeed.